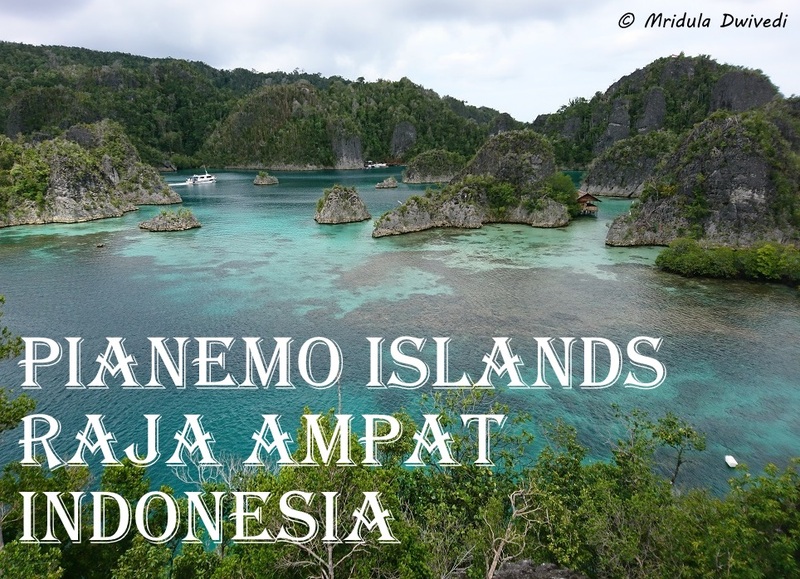 Pianemo Islands in Raja Ampat present a stunning vista. 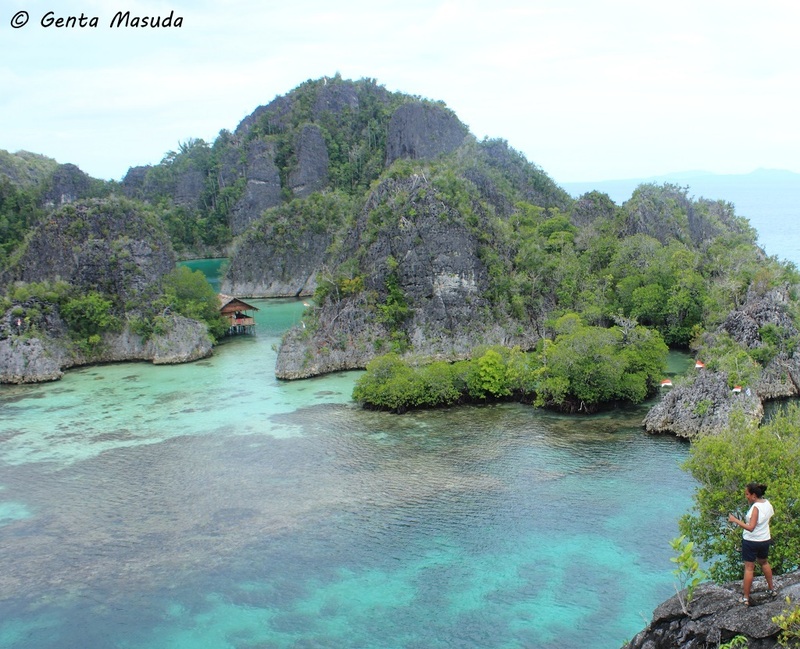 Every bit of Raja Ampat is amazing but Pianemo a little more dazzling than everything else. To truly appreciate the beauty you need to climb up to a vantage point. And there lies the fun! 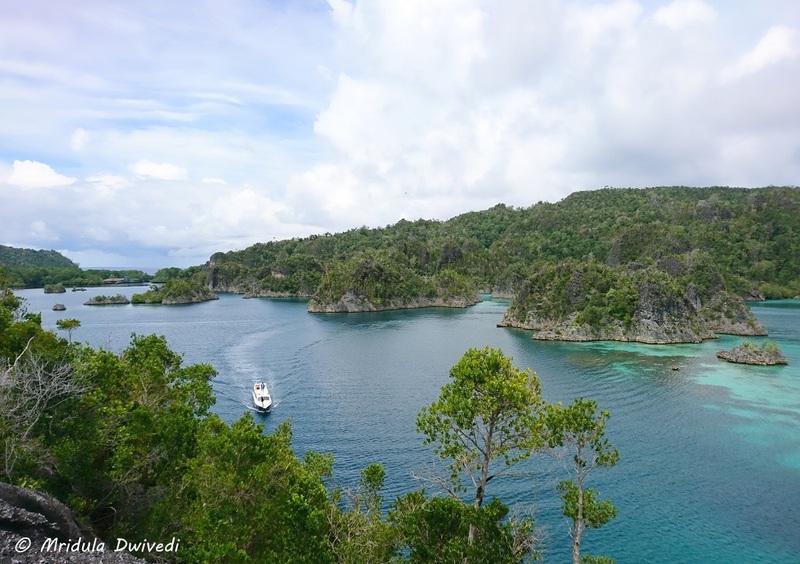 When we started from our base at Raja Ampat Diving Lodge in Mansuar Island, our hosts asked to choose a speed boat. People interested in photography were asked to go to one boat and people interested in hiking to the viewpoint, in a civilized way, went to another. I usually don’t think of myself and ‘photographer’ in the same sentence but I somehow ended up boarded the photography boat! The speedboat started chugging at its sedate pace and I fell asleep on my seat. I woke up when a voice asked us which 5 of us would like to trek up the hill for the photography viewpoint? I was late in raising my hand and 5 other people were designated to go up the hill. if you wish to hike, you have to get out of the boat and land on the hill as the hill is in middle of the water! Two people backed off after looking at the hill and I managed to fill a spot. In the end four of us, Bressiona (Indonesia) Genta and Najji (Japan) and me went up the hill with our guide Zakarias Wader! The hill is made of coral rocks. The rocks are damn sharp. The ascent was steep. I had no inkling that my itinerary included a hill trek, I was wearing floaters. It was still alright as the floaters had a grip. Genta was in flip flops and did well, Zakarias too. For me, I manage to break my floaters when I stuck my foot in a gap. When I tried to go up, the strap came out first. I always find going up tiring but easier as you are with the gravity. Coming down is a different matter. It is not tiring but my knees hurt and I always have to think where to put my next foot. The hill at Pianemo was no different. It was a short trek up but I was dreading the thought of going down with a broken footwear. But all that comes later. Before that comes the beautiful vista, that was the reward for trekking up the hill. I can’t remember when I witnessed something so beautiful. We took pictures, we made videos and we generally admired the view. I said to Bressiona, “but there is a perfectly civilized staircase on the other side with the same view. She waved it off and emphasized, “but that is so mainstream!” I will have to grant it to the youngster, she had a point. However, the hilltop was a narrow ledge and after a while I certainly wanted to get down. A shower came in between threatening all our camera gear! Luckily Najii had 10 liter dry bag, all the cameras safely went in. The rain went away as quickly as it came! My cell phone tried to slide down the hill on its own but I caught it was able to pull of the feat! Zakarias went off the hill, hitching a ride in another boat to look for our boat which had gone off to drop the other people to the ‘mainstream’ vantage point. I kept shouting “we are stranded!” That was uncharacteristic. I kept saying Hollywood movies start like this, everyone is happy, they have a great view but they get stranded and miserable later! However, Zakarias came back with a boat for us, we were not stranded. Now the task was to get off the hill, the coral hill with sharp rocks all around in a broken floaters. I somehow managed it. Zakarias gave me one of his flipflops, and walked barefoot (one foot) holding my broken floater. I had a floater on one foot and a flip flop on another but all my energies were channeled on getting down without breaking a limb. And I did that, I got off with my limbs intact. Only I tend to sit down when I find an unusually sharp step down. Only this time as the rock was so sharp, it tore my shorts! If would have been easier to go off the cliff, do cliff jumping again but for the sharp rocks at the bottom of this hill! So with torn shorts and broken footwear I came down the hill in Pianemo Islands. And I tell you what, it was all worth it. The scratches and cuts all over my legs and arms too, I would do it again if I can sneak into a group of five which dwindled down to four! 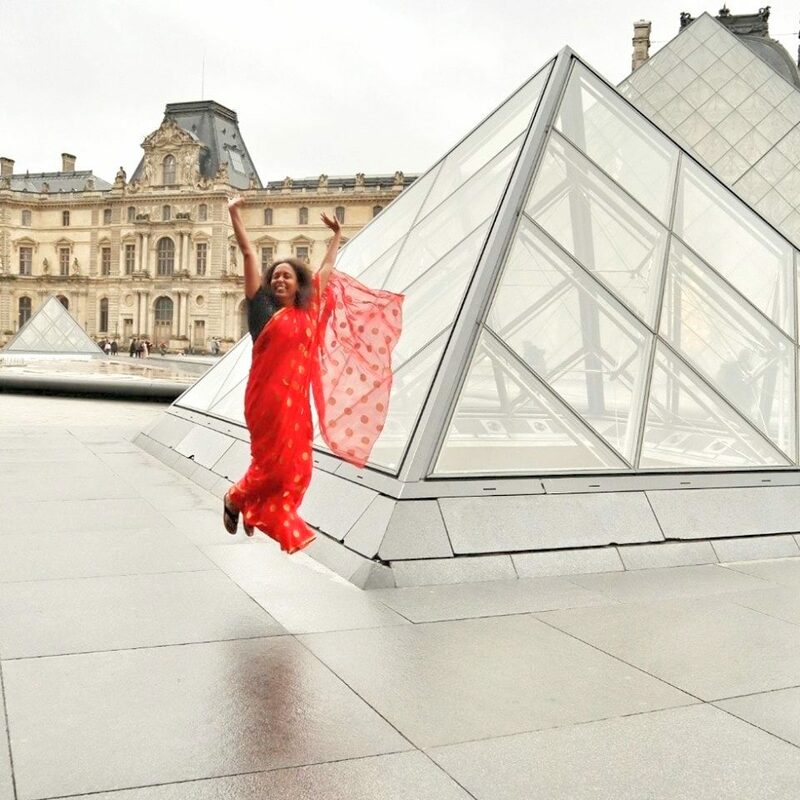 PS I was invited on the Trip of Wonders to Indonesia by the Indonesian Tourism Board.